Many people walking on the beautiful beaches along the Namibian coastline see large amounts of seaweed washed up every day and don’t pay any attention to it. However, entrepreneur Iriya Jona, founder of Nam-Oceanic Kelp Production Enterprise, sees business potential in this natural product and has developed an innovative new business that turns this seaweed into affordable, highly nutritious chicken feed products. LoA chatted to the innovative entrepreneur Iriya Jona this month to find out more. Namkelp collects seaweed along the Namibian coast that is considered to be waste and uses it to produce chicken feed products that will be supplied to local chicken farmers. The seaweed can also be used to supplement most required nutrients in animal diets. Namkelp collects seaweed along the Namibian coast that is considered to be waste and uses it to produce chicken feed products that will be supplied to local chicken farmers. Many chicken farmers, especially start-ups, complain about the high cost of animal feeds. It is this high cost factor which prevents them from obtaining maximum profit from their production. Another challenge for these start-up farmers is that Namibia has been facing one of its worse drought spells due to poor rainfall over the years, and many farmers have lost their animals due to hunger. Knowing that our country is blessed with a productive ocean, we have many natural resources such as seaweed that washes up on the shore every day and which to many people are considered as litter along the recreational beaches. Yet these seaweeds have been proven to be rich in minerals and vitamins needed to boost animal and chicken growth. 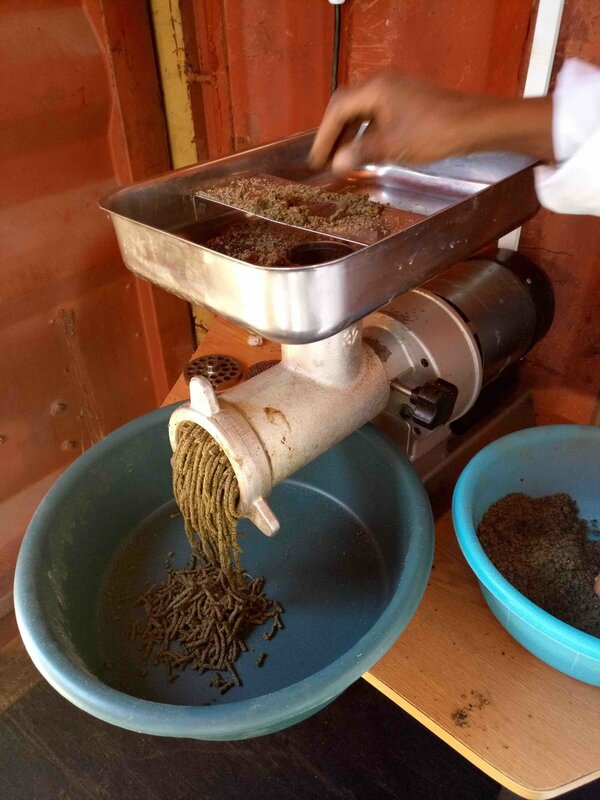 So we thought of making chicken feed from these natural seaweeds and also supplying animal feed supplements to farmers at a lower price compared to what is already in the market. Our products are cheap and of a high quality compared to what is on the market already, and importantly they contain most of the nutrients currently missing in the chicken and animal diets. 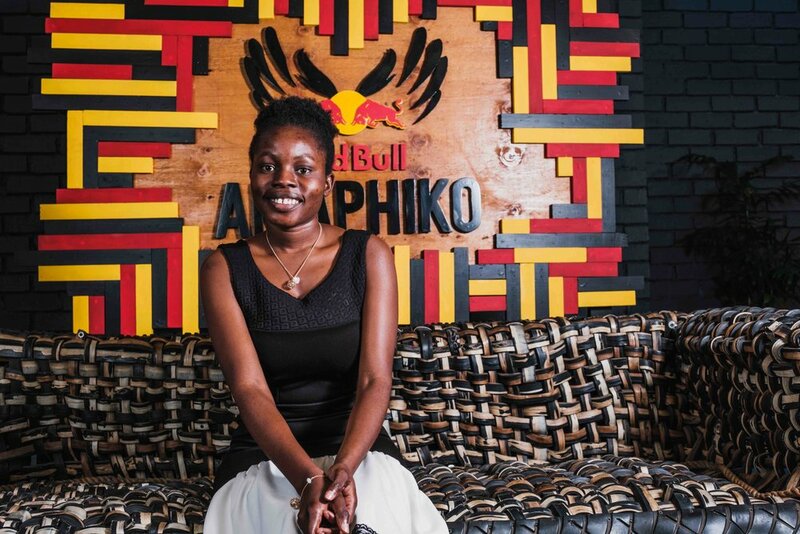 Namkelp is wholly owed by three young Namibian entrepreneurs, Ms Iriya Jona (Founder), Ms Fiina Ngotipeni ( Co-Founder) and Mr Kleopas Johannes ( Co-Founder). My entrepreneurial journey started with SEP, the first Student Entrepreneurship Program hosted by the Ministry of Higher Education, Training and Innovation, and it is where I came up with the idea of putting the seaweed business to work. The future plans for the company are to launch our products and our brand (Ochanya Chicken Feed) formally into the market, since we are just starting on our entrepreneurial journey. Our long-term plan is to farm seaweed in the ocean as the operation gets bigger, so that we can also venture into other seaweed product production and really grow the business. There is so much potential and we are just starting. I get to work for myself, make decisions that will help make my dreams become a reality, and know that I will be empowering other people in the future when the company finally starts producing at scale - that is what makes me happy. Don't be intimidated by those saying you can't make it or by other people’s failures, because at the end of the day that is what every successful entrepreneur had to go through. Do what you want to do because only you have a picture or plan of your business idea, you understand it better and only you know how far you want to go with that idea, no matter how small you may think it is. The future is female so let's work hard towards that future.